'In Dog We Trust'. 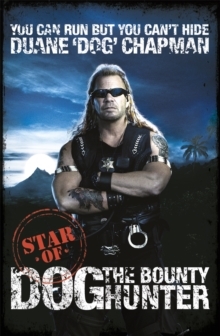 The autobiography of cult hero Duane 'Dog' Chapman, the world's most successful bounty hunter. 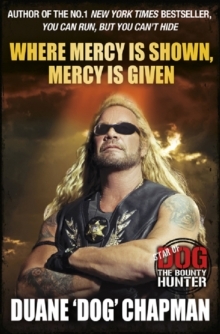 Duane 'Dog' Chapman entertains and inspires millions on DOG THE BOUNTY HUNTER, his top-rated TV show, but there is more to his story. From troubled beginnings and tragedy to triumph and transformation, he reveals all in this no-holds-barred memoir. Dog spent the early years of his life on the wrong side of the law. In YOU CAN RUN BUT YOU CAN'T HIDE, he offers an inside look at his days as a gang member, his dark years of addiction and abuse, and how serving eighteen months in prison for a murder he says he didn't commit helped him recommit to his faith. The proprietor of Da Kine Bail Bonds in Hawaii, he also shares stories of some of his most dangerous and exciting bounty hunts, and the reasons why he brings such passion and commitment to his chosen profession. An incredible story of a man who, against all odds, turned his life around and went from ex-con to American icon.